We create an Awesome, Creative & Hand-Crafted design for a successful start. 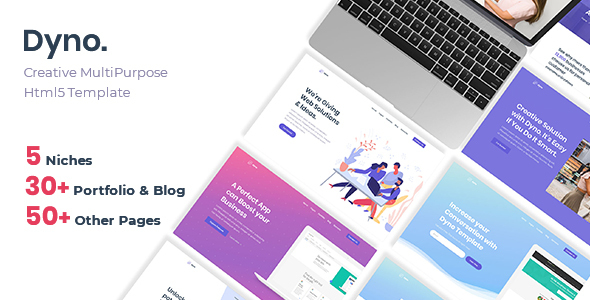 Dyno is an elegant Html5 Multi-Purpose Template that can beautifully Showcase Photos, Illustrations, Portfolio, and Blog Posts in a grid layout. Using a creative design, it makes your content truly stand out. We use Web Design, Seo Opportunities & Latest Programming Technologies to improve a site’s search engine optimization and draw in more traffic. We did this for you and your business. Dyno team wishes you success in promoting.